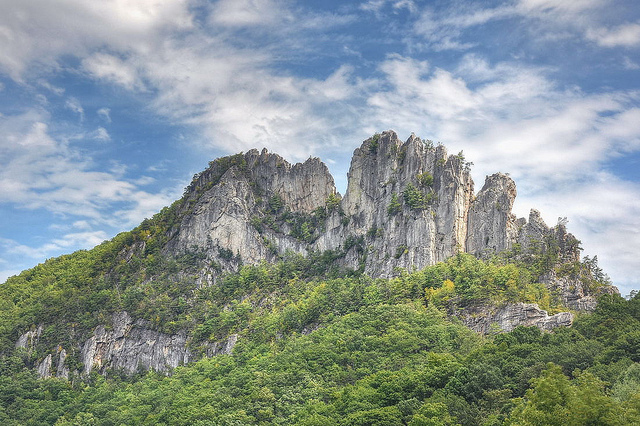 Seneca Rocks, West Virginia, “Go to the stop sign. There is only one. Turn left and then turn left again across the bridge. We’ll be camped next to the big tree in a quarter mile.” These were my directions for October 10-12, 2008. My job was to show up, with a tent and sleeping bag, but even that was understood to be optional. It was time to climb something. Let’s back up a bit though. As a child, I loved being outdoors and my parents and grandparents encouraged exploring. We were outside a lot. I would read books and magazines about far off places and the high reaches of the mountains held a mystique all their own. Epic tales were told about these peaks and the challenges they presented. I needed to go. 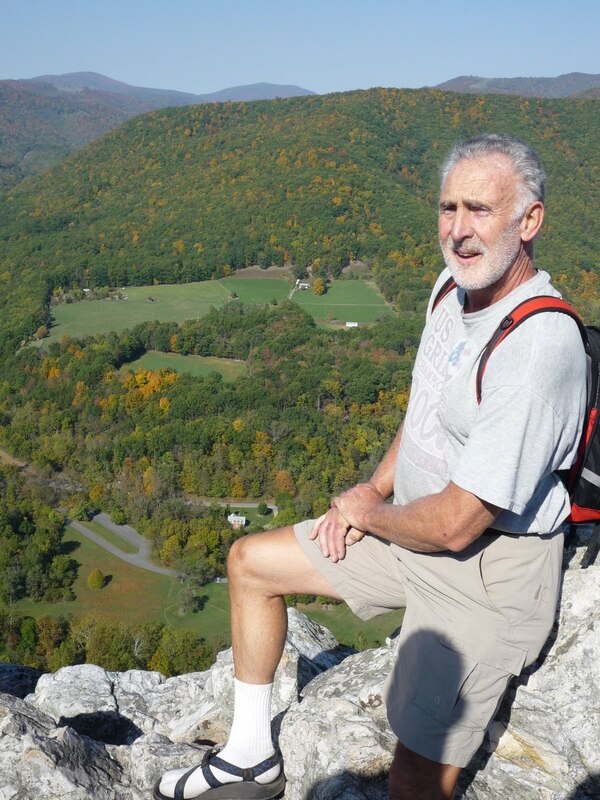 As John Muir said, “The mountains are calling and I must go.” But I lived in Toledo, Ohio and was active in team sports, so the mountains would have to wait. Eggs, bacon, coffee and then loaded up our packs for the 30 minute hike to the base of the climb. Our climbing route was to be ‘Banana’ to ‘Gunsight to South Peak’, three plus pitches of climbing. ‘Banana’ was our most technical pitch rated at 5.6, but I managed the moves with Elvis legs. I forgot to mention I have a fear of heights, but I was committed. 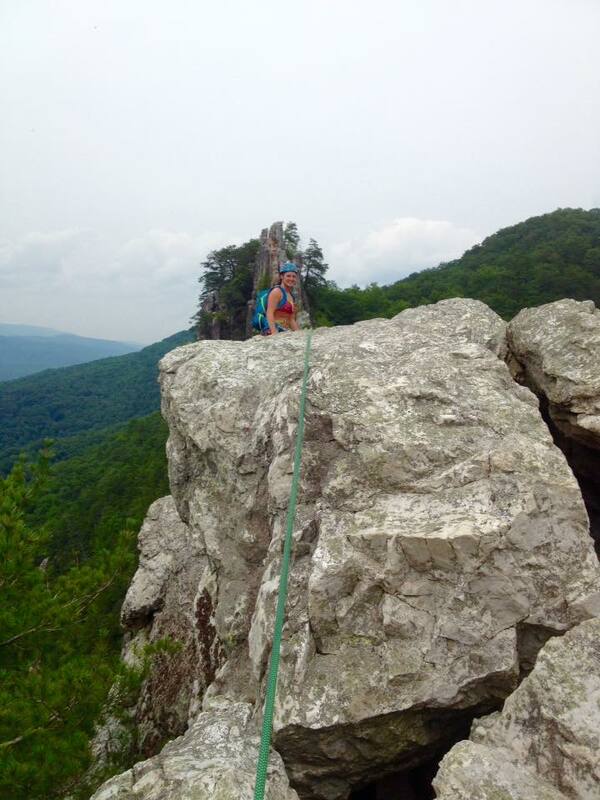 ‘Gunsight to South Peak’ was easier climbing, 5.3, BUT it’s exposed with 200ft. of air under you. I had lots of self-talk going on and kept my nose glued to the wall in front of me. We sat on what I believed to be the smallest ledge ever as I belayed Chris across the south peak traverse to the summit. The guidebook states to “walk, crawl or slither” across (oh wow) 200-300ft. of open air on either side of 2ft. of rock, I slithered and shaked. At the summit, Chris asked if I wanted to stand? Nope, I’m good sitting. I’ve never been so scared and so excited at the same time. 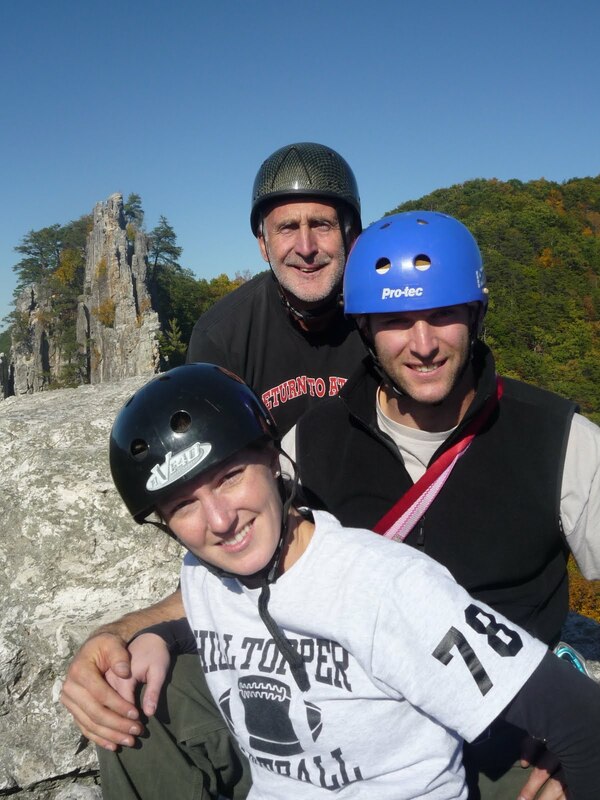 After a few pictures, we down-climbed a short section to our rappels. Back on the ground, I could finally breathe normally again. I was enthralled and could not wait for more. So if you are tired of the confining walls and someone else’s Youtube adventure, come with me and #findyouroutside.